The inaugural LLHM took place in March 2018 offering a brand-new mass participation event for 10,000 people to take part in. Swiss-based global sports marketing agency Infront has announced its acquisition of UK sports event agency Threshold Sports. The mass participation specialist is best known for properties including the Deloitte Ride Across Britain - a 980-mile route taking cyclists from Land’s End to John O’Groats, which this year celebrates its 10-year anniversary. Threshold's portfolio also features the Dulux London Revolution sportive and the Threhsold Trail Series, which comprises the Dixons Carphone Race to the Stones, HEINEKEN Race to the Tower and Race to the King. The London Landmarks Half Marathon (LLHM) has confirmed its official partners for the 2019 edition of the event on Sunday 24th March. 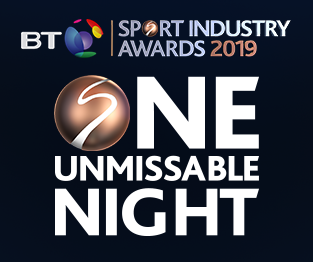 The central London closed-roads race is returning for a second year following last year’s inaugural edition, which has been shortlisted for the Active Award at the BT Sport Industry Awards 2019. New partners for 2019 include Caffè Nero, the Official Coffee Partner, and London Hospitality Services, the Official Hospitality Partner, whose involvement will include sourcing accommodation and benefits for the runners close to the start line. In this exclusive feature for Sport Industry Group, Katie Matthews, Head of Sport and Fitness at The PHA Group, outlines why sponsors should play their part when it comes to encouraging and inspiring girls to play sport and get active. Earlier this month, Mims Davies, the new sports minister, gave her first major speech outlining her priorities for the role. Global endurance race brand Spartan has launched a new obstacle course event to take place at Twickenham Stadium. The first UK Stadion Race will be held on Saturday, 23rd November – the first event of its kind to be run in a major UK sports venue. Virgin Radio DJ Chris Evans have confirmed the launch of RunFestRun, a new running and music festival set to take place from 31st May until 2nd June. The Virgin Radio-endorsed event, billed as ‘Britain’s biggest running party,’ follows on from the success of CarFest, which has expanded since its introduction in 2012. The grounds of Wiltshire’s Georgian Bowood House and Gardens, home to Marquis and Marchioness of Lansdowne, will play host to the three-day running-inspired festival. Cake has confirmed the arrival of adidas and M&C Saatchi S&E alumnus Rosie Holden as the Havas sport and entertainment agency’s new Managing Director. It follows the departures of CEO Adrian Pettett, MD Jim Dowling and COO Joanne Warnes from the agency in recent weeks. Holden arrives at Cake following a short spell as a Managing Partner at Accenture-owned marcomms group Karmarama, which she joined in April this year. Sport England is to provide £3 million in investment to help create 200 new parkrun events across the UK over the next three years. The investment, funded by the National Lottery, is to assist the free community-based event to specifically increase participation among women and individuals from lower socioeconomic groups, two targets in Sport England’s strategy Towards an Active Nation. The new project is to specifically target new parkrun events in communities that have the most to benefit from free, weekly social activity in open spaces. UK Coaching (formerly Sports Coach UK) - the non-profit which exists to support coaching excellence in the UK - has become a full member of the International Council for Coaching Excellence (ICCE) for the first time. The move will see UK Coaching join an international group of coaching leaders across the world, working together to support the development of sports coaching. UK Coaching’s director of coaching Emma Atkins, said: “We are thrilled to join the ICCE family to ensure that we assist UK coaches and coach developers to work across the international community.